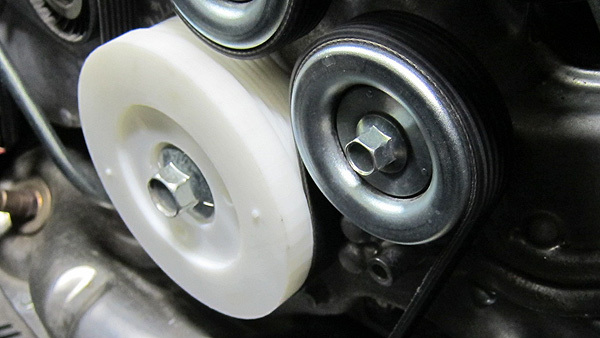 Vibratech TVD introduced a 3D additive printed prototype step in the development process for dampers under 8”. Complexities in actual viscous damper fitment and belt alignment within a tight engine bays can cost-effectively be resolved prior to manufacturing working test dampers. 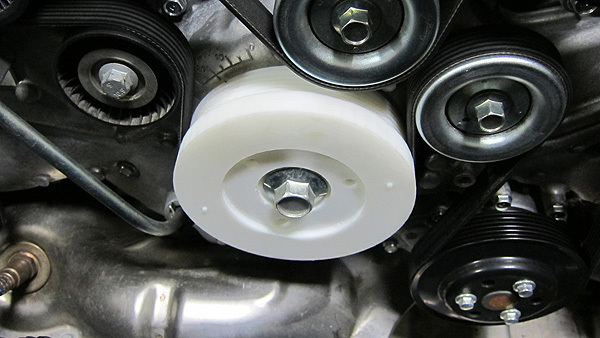 Shown below, is the case study rapid prototype model used during development of the Fluidampr performance damper for the Subaru FA-20 / Toyota 4U-GSE engine.